Many people who have been truly born again do not realize how the enemy deceives them into obeying his voice. It is mainly from our own ignorance of his devices that we do not recognize how he disguises himself through our own thoughts that run through our carnal mind. 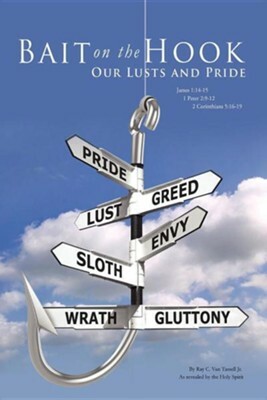 Once we see the error of his ways and understand where we are committing sin, it is hard for Satan to deceive us then. This can only come in time as we receive understanding and spiritual wisdom that only the Holy Spirit can teach us. Fortunately, we can be guided by God through all the learning stages-baby, childhood, young man, fatherhood-and the disciplines of chastening and scourging as we walk through the valley of the shadow of death to self. This lifelong process is designed to bring us into maturity as Hebrews 5:8-9 says, "Though He were a Son, yet learned He obedience by the things which He suffered (as we must do also to reach maturity IN HIM); and being made perfect, He became the author of eternal salvation to all them that obey him." As we gain experience in our walk with the Holy Spirit, we are learning to discern with our senses when good or evil is coming upon us so we can refuse the evil and choose the good: Hebrews 5:14. We are also learning to put on the whole armor of GOD so we can stand against the devil's devices. We must go through each phase of growth and learn to resist the devil and submit to GOD. No one will be able to stand before GOD and say, "I didn't know what to do because I wasn't taught." God's response: "You had My word, why did you not read it?" I'm the author/artist and I want to review Bait on the Hook: Our Lusts and Pride.